Action: Antibacterial, anti-infectious, anti-inflammatory, antiseptic, Antiviral, cictrisant, diaphoretic, expectorant, fungicidal, parasiticide, immunostimulant, vulnerary, carminative, sedative. Benefits, Indications: Lemon Tea Tree has all of the medicinal properties associated with Tea Tree essential oil, yet has additional broad-range antifungal abilities. 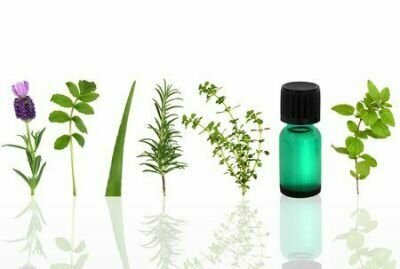 For more information on the therapeutic properties, see Tea Tree Oil. Lemon Tea Tree is considered the ultimate natural mosquito repellent, and is effective on its own in a carrier oil. It is also considered one of the best essential oils for eliminating odors. It may be diluted with water in a spray bottle and applied to the desired area. A few drops may also be added to any cleaning solution for the same effect. Precautions: Contains citral, a strong sensitizer. Avoid use on broken skin. Avoid use during pregnancy. The efficacy of Australian essential oils for the treatment of head lice infestation in children: A randomised controlled trial.